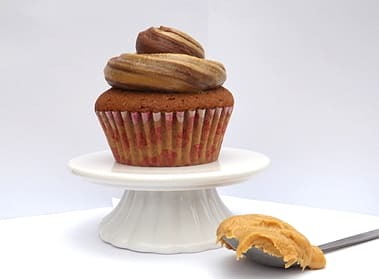 For many years I have been on the hunt for the perfect peanut butter cupcakes. 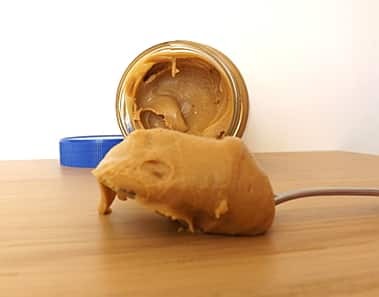 I adore peanut butter and will eat it with almost anything and quite happily on its own straight from the jar with a spoon. Crunchy or smooth either will do and strangely I am very partial to banana and peanut butter sandwiches… mmm peanut butter and banana, now that could work in a cake! 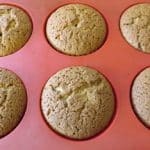 But back to the subject at hand of peanut butter cupcakes, I’ve tried many recipes before and I have always found them to be too dense or too dry. And after a day they are almost always far too hard to really enjoy. I don’t know why I never seemed to be able to crack this recipe. 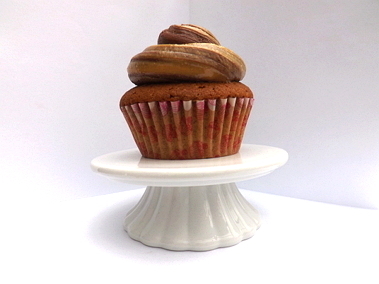 A few times I have been on holiday or working in America and I had visited cake shops and had enjoyed a peanut butter cupcake. They were always amazingly delicious and the supermarket aisles are always jammed pack full of cool peanut butter stuff, especially in the baking aisle. I never allowed this to put me off trying again if anything it made me more determined to crack this recipe. So recently I decided to take another crack at the fabled peanut butter cupcake. 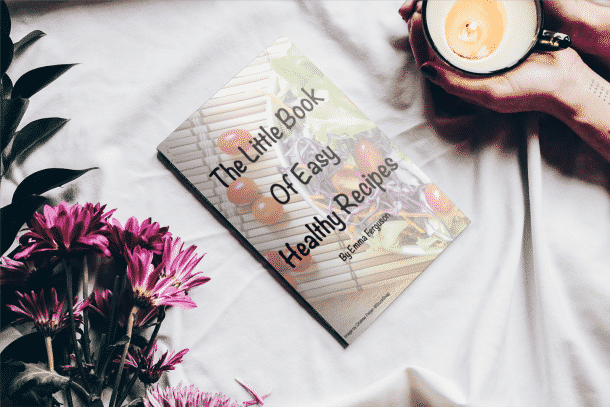 I went through all the recipes I had tried before and even a few American ones for comparison. Most of the British recipes called for caster sugar but a couple of the American ones called for brown sugar. Brown sugar in cakes can give added moistness, (sorry to keep saying this word but I can’t think of another! Anyway as I was saying…) to the sponge to try and get as much of this in the cake I decided to use dark brown sugar for added punch. And brown sugar always adds another flavour dimension its self. I also added milk to the recipe to keep the batter a little more liquid in the hopes this would help battle the dreaded dryness. I also used smooth peanut butter in this cake batter, it was a conscious choice, I have both in the cupboard but I thought the smooth might blend in a little better. The cake turned out perfect; it was light, moist and just the right amount out peanut butter flavour. I was so happy I personally think I had cracked it. Now there are 1000 and 1 ways to frost these babies! I originally wanted a vanilla buttercream with a strawberry jam swirl through it so I could get the whole peanut butter and jelly thing going on, but I had no strawberry jam at hand. Cream cheese frosting would be lovely; a plain peanut butter frosting would be very nice for ramping up the peanut butter flavour. But I went with another classic combination of peanut butter and chocolate. 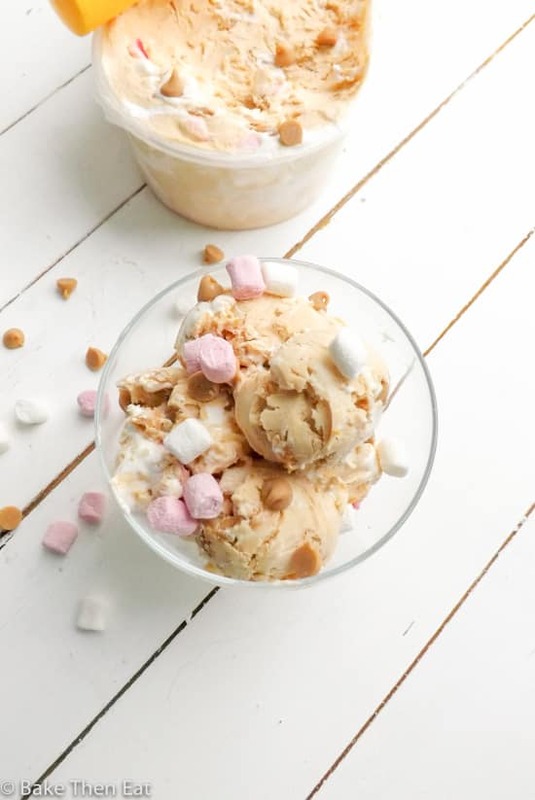 These two flavours like all peanut butter lovers know go so well together, it’s like a food marriage made in heaven. I love the classic American PB&J though our jam in the UK is a little different than the American version Jelly so for me, it’s never quite the same. I used a classic chocolate frosting with a peanut butter swirl through it. It was super sweet and super yummy. Now I could wax lyrical forever about the delights and wonder of peanut butter so I shall stop myself now and get on with the recipe and directions. 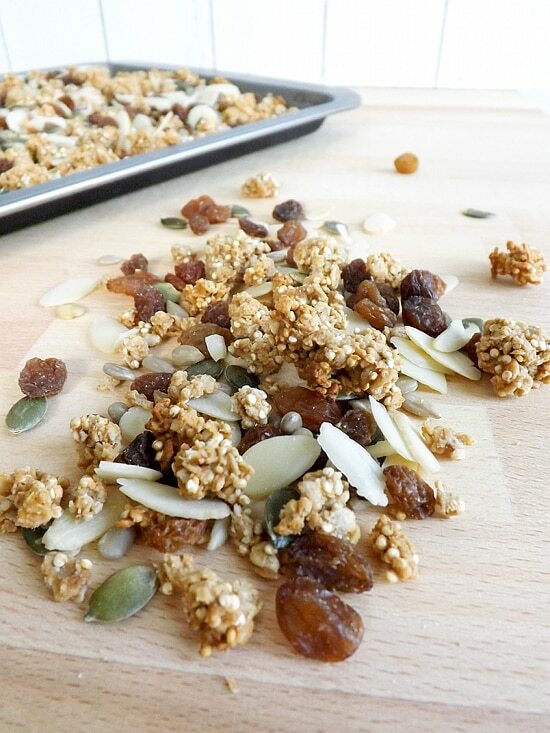 I hope you give these a go, as they really are so scrummy! Just one word of warning before you go on, this is the worlds best-tasting cake batter and you will find it almost impossible not to scoff the lot before you get it in the oven. 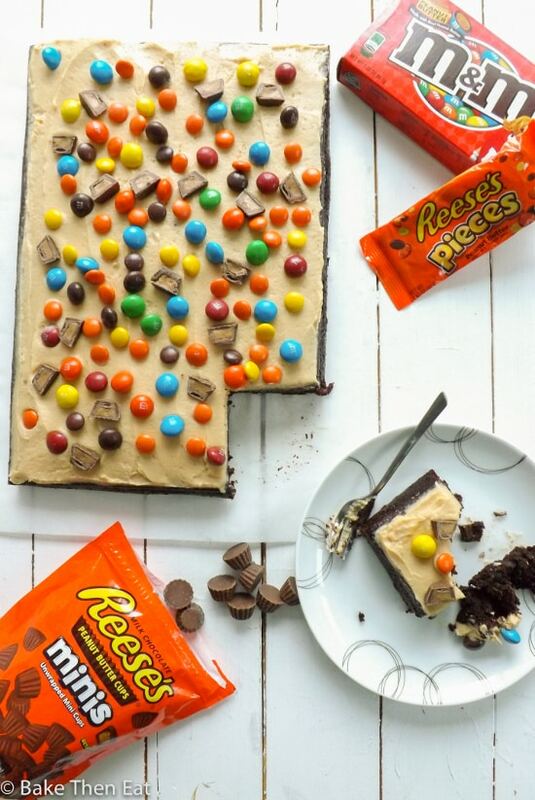 A lovely combination of peanut butter and chocolate. A light and fluffy peanut butter sponge topped with a chocolate and peanut butter frosting. Preheat the oven to 180C / 350F / Gas mark 4 and prep a 12 hole muffin tin with liners. 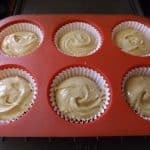 In a medium size-mixing bowl using an electric hand mixer or a stand mixer cream together the butter, peanut butter and the sugar until they are well mixed and light and fluffy. Add the eggs one at a time whisking in-between each addition. More air in the batter at this time will keep your sponge light and fluffy. Once the eggs are well mixed in add the vanilla extract and whisk again for another minute. In another bowl mix the flour, baking powder and salt together. Add a third of the flour to the mix and gently fold in. Then add a third of the milk and fold in. Carry on this way until all the flour mix and milk are all mixed in and well combined. Carefully put the mixture into your prepared cupcake tins, filling each one no more than two thirds full. Bake in the centre of your oven for 20 minutes, and if a skewer comes out clean they are done, if not pop them back in for a couple of minutes. Once they are cooked, take them out of the oven but keep them in their tins for 10 minutes. After those 10 minutes pop them on a cooling rack to fully cool down. Beat the butter until it is light in colour, almost white. Add the milk and vanilla extract to the butter and mix in well. Sieve in the icing sugar and cocoa powder together and add half of it to the butter mixture. Once fully combined add the other half of the icing sugar and cocoa powder and mix vigorously. Generously fill one side of your piping bag with your chocolate buttercream and fill the other side with smooth peanut butter. You want to have a higher ratio of chocolate buttercream to peanut butter. Great article! Peanut butter and chocolate works amazingly well together thank you for giving me some ideas ! Hi Emma, I loved your peanut butter cake recipe. It sounds so delicious. And the snaps are looking wonderful. i am in need to give a try to recipe. Thanks for sharing yummy recipe. Hi Prachi, thank you I hope you enjoy when you make them. Thank you very much for this wonderful recipe. The cupcakes were just divine and scrumptious. All the other recipes I’ve tired the cupcakes have either gone dry or too moist but this one is just perfect! The pictures made it even easier to make the recipe knowing that I’m on the right track. I’m a massive fan of pb and nothing can make me happier than a bit of peanut butter cupcakes with chocolate (best combination ever with pb !). Since I’m a huge fan of salted caramel as well, I decided to drizzle a bit of salted caramel sauce on top. The cupcakes were to die for. Hi 🙂 You’re welcome I hope you give it a go let me know how you get on you won’t be disappointed I promise. Hi Sarah thanks for stopping by 🙂 I’m so glad you and your bf enjoyed these cupcakes. I bet they were lovely with the crunchy peanut butter I love both kinds I seriously can’t get enough of the stuff! Wow, these cakes are amazing! I baked a batch yesterday for my husband who loves peanut butter and thought I’d make them for an early Father’s Day gift. Even our 18 month old thinks they are delicious. Just want to point out that there’s a paragraph repeated in the rant part… Even though the rant was quite funny. Thanks for the awesome recipe otherwise! where can i find the conversions? Hi Jesa, I’m working on them and they should be up soon sorry for any inconvenience. 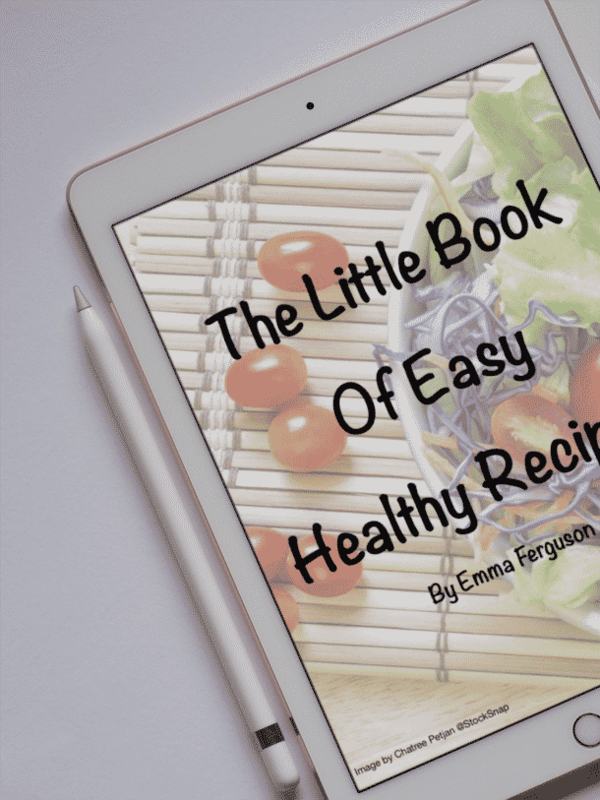 Hi Emma..thanks for this great recipe. I have just made a double batch (50 little cupcakes), and finished them with milk chocolate icing and salted peanut brittle. They taste WONDERFUL! The only change I made was that I used buttermilk in place of milk, as I had some in the fridge. Hi Nina, thanks for stopping by 🙂 I’m so glad you liked these they are one of my favs I love peanut butter so much. Wow you made 50 mini ones! I’d be in heaven I bet your kitchen smelled wonderful. 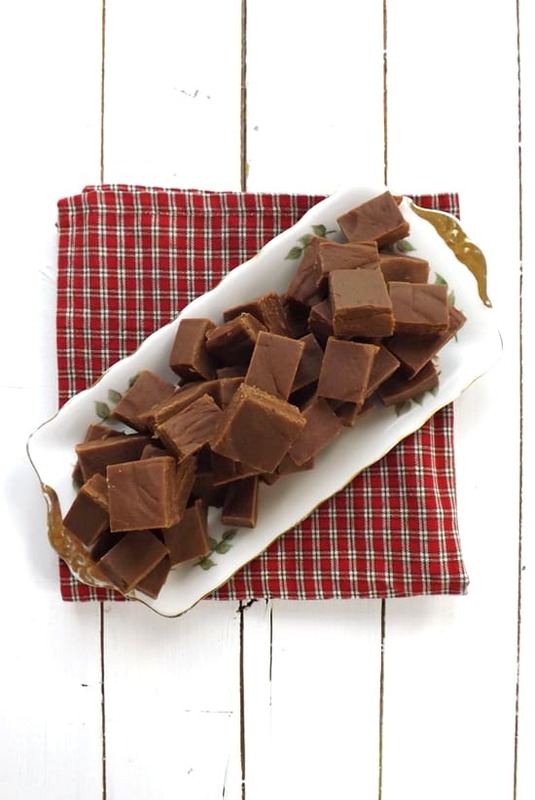 I’m glad they worked with the buttermilk, I use buttermilk a lot but just happened to use milk that day but thanks for the tip next time I’ll try them with buttermilk and peanut brittle on top. It is time to get my kids off store brand peanut butter. I tried this recipe with my wife and both my kids said nothing. It worked. Great recipe and helpful photos. Hi Bill, glad you liked the recipe and that your kids enjoyed the cupcakes 🙂 I love this recipe it’s so easy to put together with great results every time. Emma, My son-on-law loves peanut butter treats. (That accounts for all the many peanut butter types of pies at his birthday party!) These lovely cupcakes just beckon you to sink your teeth in them…need to make them for the son-in-law! This looks delicious! 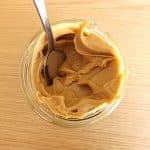 I am a peanut butter fanatic and will definitely have to give these a try! Thanks for the recipe! Hi Miranda, I’m also a peanut butter fanatic! I love it. I gross out my partner because I eat it straight from the jar 🙂 Let me know how it goes if you give them a try, I’m sure you won’t be disappointed. 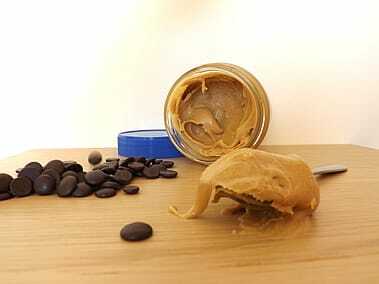 If your partner thinks eating peanut butter straight from the jar is gross, it might be time to find a new partner! Seriously, I love to do that, particularly with a whipped kind my regular grocery store no longer carries. And I absolutely love a peanut butter and banana sandwich (with just a little honey), especially with a glass of chocolate milk. These cupcakes look beautiful and delicious! 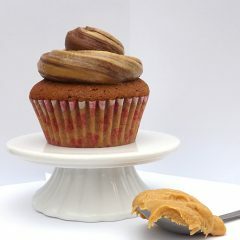 Love the swirl on top and love the idea of peanut butter jelly cupcake but the chocolate looks amazing too! Hi Natalie, thanks for stopping by 🙂 PB&J would be amazing but like I said then jam / jelly is different here in the UK and it wouldn’t mix so well with the buttercream. 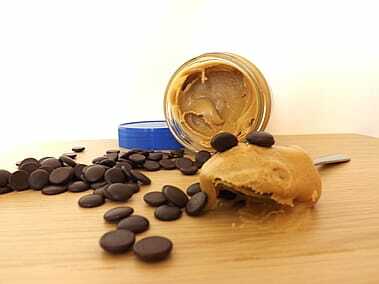 But the chocolate does work really well as all peanut butter lovers know its a great mix. Yum! Always a Cupcake flavour I keep meaning to try but never have. These sounds lovely! Hi Leanne, they are really yummy but then again I am biased I am a peanut butter nut! But I am really happy with this recipe and it will become my go to recipe when I am craving cake and peanut butter, which is most days!!! These sound delicious, and I totally want to make them, but there doesn’t seem to be a key ingredient seems to be missing from the cupcake recipe: the peanut butter! It’s mentioned in the instructions, but there is no quantity listed in the ingredient list. Help!